Mohammad Jalali (also known as 'MJ') is a research faculty at MIT Sloan School of Management. MJ is interested in simulation and model estimation methodologies, and the applications of dynamic modeling for complex sociotechnical problems. In shaping his research trajectory, MJ follows three goals. First, he conducts research that has an impact in the real world. 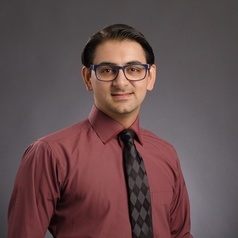 Second, he focuses his simulation modeling work on mechanisms that connect human decision making to technological and economic systems, because that is where many important policy-resistant problems lie. Finally, he wants his research to rigorously connect mechanism-based models with big data. To achieve these goals, he builds bridges across methodological and application domains. MJ is a former consultant at the World Bank and a former researcher at the U.S. Department of Energy. He is also the recipient of the 2015 Dana Meadows Award, the 2015 WINFORMS Student Excellence Award, and the 2014 Lupina Young Researcher Award. For more information, check out MJ’s website at: Jalali.mit.edu.